Thank you for stopping by our website today. We hope the information will answer some of your questions and provide insight on what happens at DWC. If you do not have a church home, we would love to have you join us at one of our services, special events or other times of prayer, bible studies or Connect groups. What happens in a service? During our church service, we let the Holy Spirit have His way. Each time we gather, it is very unique. It is quite common for prophecies, songs of the Lord, words of knowledge, healings and miracles to happen as God's presence drops in the room. Our worship is modern and we use current Christian music as well as our own songs. The preaching and teachings are given by one of our lead pastors or others in the congregation who are called to preach, teach or prophesy. At every service, we give people an opportunity to receive prayer and ministry. Prophetic ministry. We encourage the gifts of the spirit to operate in our services, such as a word of knowledge, word of wisdom or spirit of prophecy; this may be for the corporate body or for an individual. Seminars are held to train and develop people in hearing the voice of God and to discover their prophetic giftings. Prophetic teams are available for altar ministry and during a service. Special worship services are used for the prophetic flow to minister to the Lord and people. CONNECT DESK. Stop by the Connect desk in the foyer to find a small group you would like to attend. At the desk, you will meet some DWC leaders and they are available to answer any of your questions. We are here to serve you. PRAYER CARDS. Prayer cards are made available when you arrive at the Connect desk or from an usher. You may place card in offering bucket, give to an usher or stop by the prayer area in the sanctuary. We have teams available to pray with you concerning your requests. Is child care provided? Classes are available on Sunday and Wednesday at the services for nursery aged children to 5th grade. On the first Sunday of the month only, 1st-5th grades stay in the service and a teacher will give a lesson in the sanctuary where all the children can participate to hear. Youth and Junior High classes meet on Wednesday and two Sundays a month. All classes are dismissed to their rooms after the worship is over. For further info concerning the groups, please check out the community tab on the website. How do I register my child? (ages nursery to 5th grade) Please stop by our Children's Registration kiosk in the foyer to fill out the proper information. Our goal is to keep a safe environment for your child and we gladly welcome your cooperation to list allergies, and medical conditions, any custody situations and who should or should not pick-up your child. Also, to give you peace of mind, the teachers and volunteers of DWC are given a background screening and references are checked. What should I wear? Our desire is that you would feel comfortable in wearing what makes you feel comfortable. We dress casual and everyone is welcome. We are an apostolic-prophetic, multi-cultural community where His presence awakens purpose for families, cities and nations through restoring, training, activating, imparting and releasing people into their destiny. Under the leadership of Apostle Larry & Prophetess Marla Black, our elder team has a heart for God, a love for people, and a desire for His presence more than anything. These leaders will serve you with excellence and integrity. DWC’s government structure is based on Ephesians 4:11: And He Himself gave some to be apostles, some prophets, some evangelists, and some pastors and teachers, for the equipping of the saints for the work of the ministry, for the edifying of the body of Christ and I Corinthians 12:28: And God has appointed these in the church: first apostles, second prophets, third teachers, after that miracles, then gifts of healings, helps, administrations, varieties of tongues. During the years 1997 to 1999, there was a group in Bakersfield who were praying for an apostolic/prophetic church to be established in the city, where the saints could be activated and equipped to do the work of the ministry with signs and wonders following. Larry and Marla Black were asked through another ministry if they would be interested in pioneering this new work. 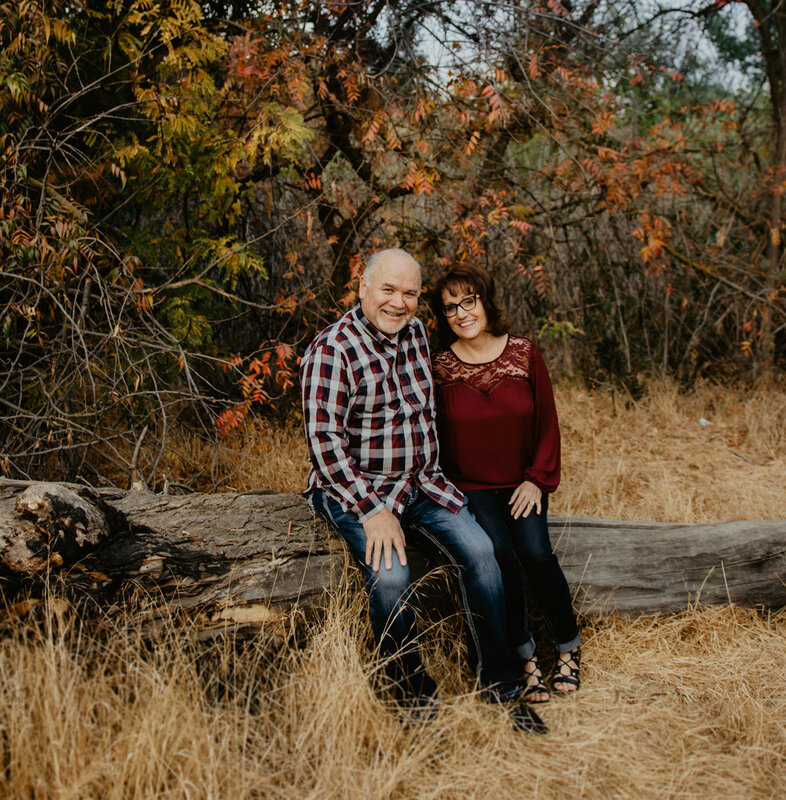 Larry & Marla were pastoring a church they planted in Greenville, Pennsylvania and prayers began immediately for direction. As Larry prayed, he heard the Lord say, "They've asked you to come, but I need you to come." The Black family moved from Pennsylvania to July of 1999 and the Dominion Worship Center church held it's first service on Sunday, October 17, 1999. The first location of the church was located on Mohawk and in 2002 the church moved to 4450 Stine road, it’s current location. In 2019, DWC celebrated 19 years of ministry. The future looks bright as DWC continues to train, equip and restore people. We give Jesus all the glory! We believe in the eternal Godhead who has revealed Himself as one God existing in three persons, Father, Son and Holy Spirit (Matt. 28:19, 2 Cor. 13:14). We believe that man by nature is sinful and unholy. He is unable to attain God's righteousness apart from regeneration through the Lord Jesus Christ (Rom. 5:8-10). We believe that Man was created good and upright, for God said, “Let Us make man in Our image, after Our likeness.” But, man by voluntary transgression, fell, and his only hope of redemption is in Jesus Christ the Son of God. (Genesis 1:26-31; 3:1-7; Romans 5:12-21). We believe in the Lord Jesus Christ, the savior of all men, conceived of the Holy Spirit, born of the virgin Mary. He is totally God and yet, totally man. (Luke 1:26-35, John 1:14-18, Isaiah 7:14, 9:6-7). We believe in the Lord Jesus Christ, the savior of all men, conceived of the Holy Spirit, born of the virgin Mary. He is totally God and yet, totally man. (Luke 1:26-35, John 1:14-18, Isaiah 7:14, 9:6,7). We believe Christ died for our sins, was buried and rose again on the third day. (I Cor. 15:1-4). We believe in the salvation of sinners by grace, through repentance and faith in the work of the Cross.(Ephes. 2:8-9, Heb.9:12,22). We believe in the baptism of total immersion, in the name of the eternal Godhead, is necessary in order to fulfill the command of our Lord Jesus Christ (Matt. 28:19, Acts 2:38, 19:1-6). We believe in the baptism of the Holy Spirit as a real experience at or after salvation. Believers can then speak in tongues as the Spirit gives them utterance. (Acts 2:1-4, 8:14-17, 10:44-46). We believe in the operation of the gifts and ministries of the Spirit that are listed in 1 Cor. 12-14 and Ephesians 4. We believe in the Spirit-filled life, a life of separation from the world and holiness in the fear of God (Ephes. 5:18, 2 Cor. 6:14, 7:1). We believe that miraculous physical healing and deliverance in the name of Jesus is still for us today (Mark 16:17, Acts 4:30, Rom 8:11, 1 Cor. 12:9, James 5:14). We believe in the taking of Communion, or the Lord's Supper, for all born-again believers (Matt. 26:26-28, 1 Cor. 11:28-32). We believe that the devil is a real spiritual being who will eventually be judged with his angels and cast into the Lake of Fire (Matt 25:41, Rev. 20:14-15). We believe in eternal life for believers (John 3:16, 5:24) and eternal punishment of the unbelievers (Mark 9:43-48, 2 Thess. 1:9, Rev. 20:10-15). We believe that there is one true Church that is made up of genuine believers with Jesus as the head. However, this one Church is composed of many local churches in different localities (Matt. 16:18, Acts 9:31, Ephesians 5:23). We believe the Scriptures promise the return of our Lord Jesus Christ with His saints from Heaven to rule and reign for one thousand years on earth (II Thessalonians 1:7; Revelation 19:11-16; 20:1-6). After this, there shall be a new heaven and a new earth. (Revelation 21).